There are a multitude of Cape Town holiday attractions to choose from, with the Table Mountain National Park without doubt topping the list. The Park is one of the 20 national parks that fall under the South African National Parks Board. 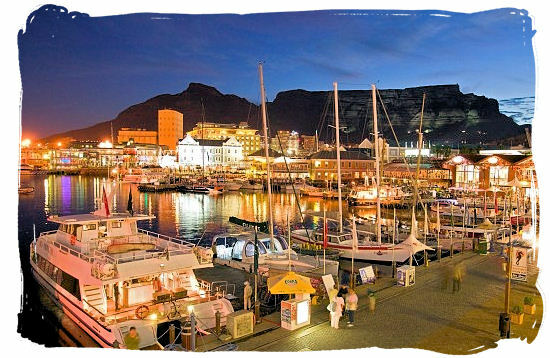 In fact, most of the attractions are to be found inside the Park and on the Cape Peninsula. 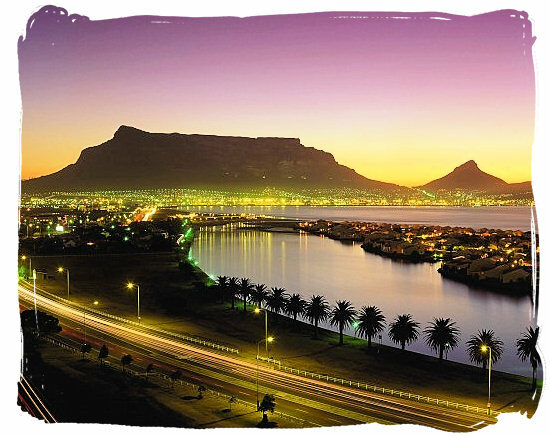 You will find Cape Town to be the perfect base from where to explore everything. 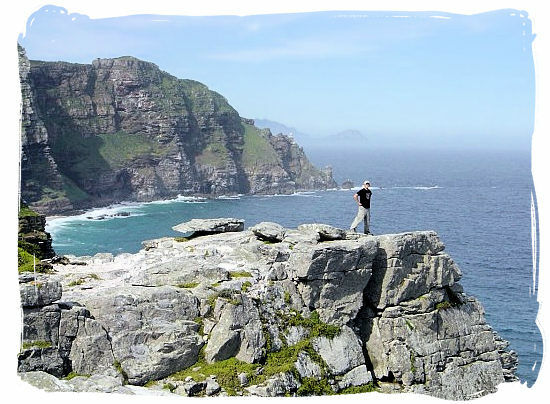 The Cape Peninsula at the south-western tip of South Africa, is where the Table Mountain National Park is situated. The Peninsula is a narrow stretch of land with beautiful mountains and sun-drenched bays and beaches. The eastern side of the Peninsula faces the cold Atlantic Ocean, whereas the eastern False Bay side is warmed by the Agulhas Current. The very first European voyagers to sail around this world renown cape at the southern tip of Africa were Portuguese explorer Bartolomeu Dias and his crew. He named it the Cape of Storms (Cabo das Tormentas) and that is what it became known and feared for, a place where heavy storms have played havoc, wrecking many ships and taking many lives. Later when he reported to King John II in Portugal that he had found a sea route around the African continent to India and the Far East, the King renamed it the Cape of Good Hope (Cabo da Boa Esperança), because of the enormous opportunities in terms of direct trade routes to the Far East. With its great history and scenic beauty the Cape is one of the main tourist attractions in the Table Mountain National park. 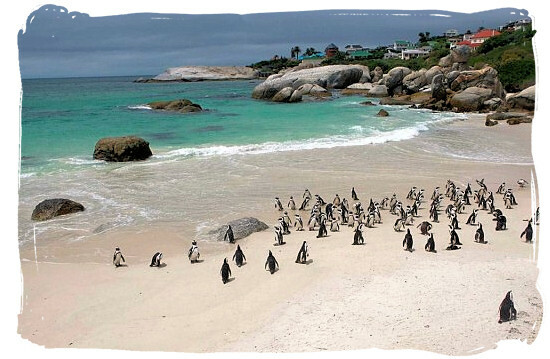 On the eastern side of the cape Peninsula in the Swartkopberg part of the Park and just south of Simons Town, lies the remarkable Boulders beach, also known as Boulders bay. It is a smaller sized sheltered beach, comprised of inlets between granite boulders, from which the name has been derived. 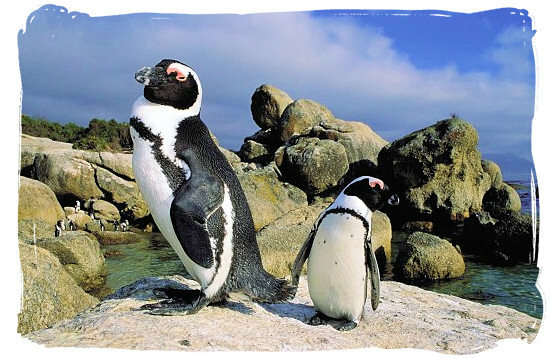 It was in around 1982 that a few pairs of African penguins settled themselves there. 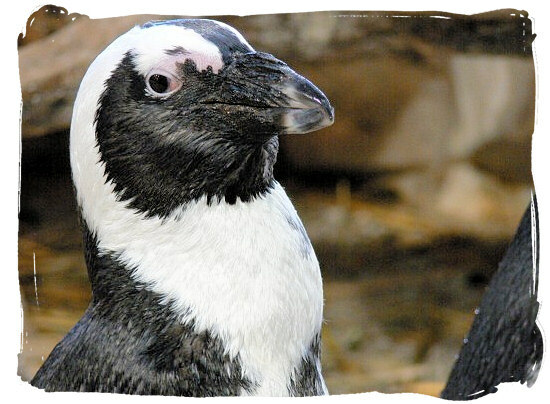 With plenty of food since the reduction of commercial pelagic trawling in False Bay, the penguin population grew into a colony of almost 3000 birds. In recent years it has become a highly popular recreational tourist destination. 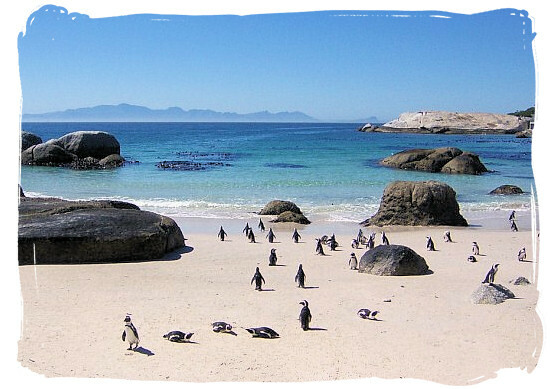 Recreational in the sense that it is also a favourite swimming beach destination and although people are limited to the use of the beaches next to the Penguin colony, you will often find yourself swimming between the Penguins. The newly constructed boardwalks at Foxy Beach is the best spot to view the penguins from, they take you within a few meters of the birds. 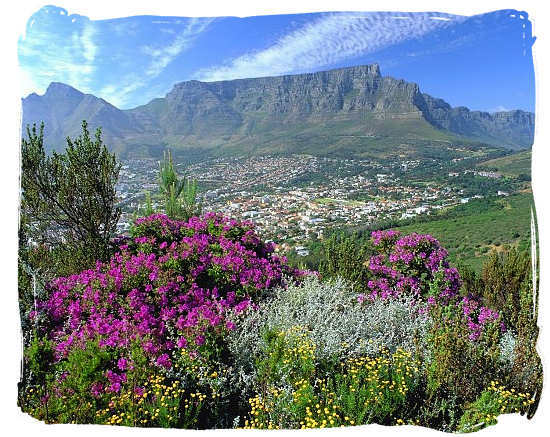 Who has not heard of the world renown Table Mountain, it is almost a synonym for the words “Cape Town”. The two of them are inseparable, with the Table Mountain providing a magnificent backdrop to the cosmopolitan city of Cape Town. Situated in the northern part of the Park, it offers the most stunning views from its flat 1000 meters high summit. Forming one of the most prominent landmarks in the Table Mountain National Park, the top of the mountain is flat, hence the name Table Mountain. Guarded by Devil's Peak towards the east and also by Lion's Head to the west, its great trademark is a flat plateau-like summit around 3 kilometres from side to side, surrounded by large cliffs. This is quite a large area, so make sure you have enough time to explore the paths and viewing platforms, while enjoying the extraordinary views. The top of the mountain can be reached by either the new high-tech Cableway, or via hiking routes. 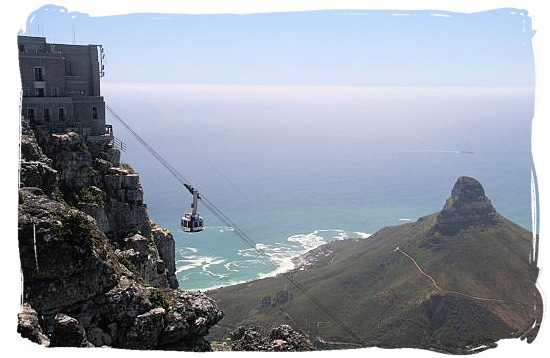 The Cableway will take you to the top in a matter of minutes, rotating through 360 degrees during its ascent and descent, offering breathtaking panoramic views. Hiking on Table Mountain is popular amongst locals and tourists. It takes them on average 2.5 hours to reach the top. 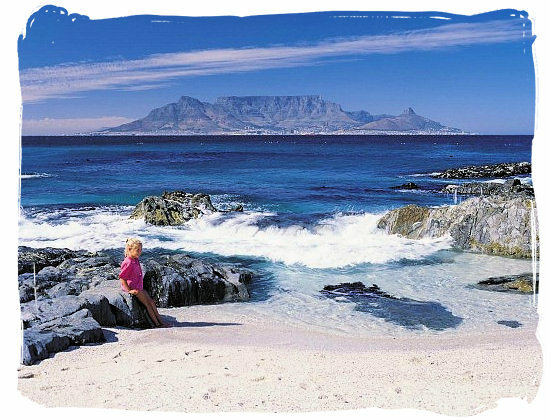 The Table Mountain National Park is home to some of the greatest beaches on the Cape Peninsula. With a water temperature difference of 3 to 4 degrees between the beaches on the cold Atlantic Ocean side of the Peninsula and those on the warmer Indian Ocean side, you will always find a beach to suit your preferences. The beaches on the Atlantic Ocean side are the more trendy ones in terms of beach culture and ambiance. 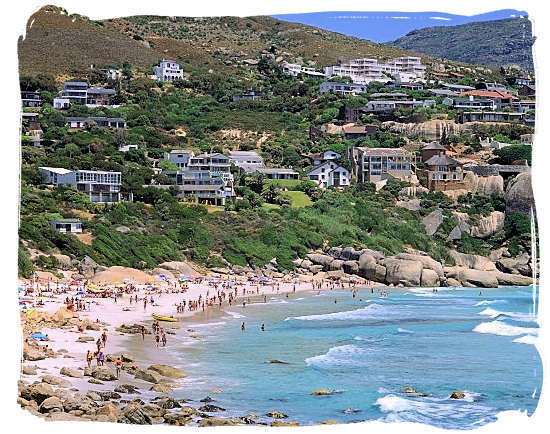 If that is to your liking, you will for instance enjoy Llandudno on the Atlantic seaboard. 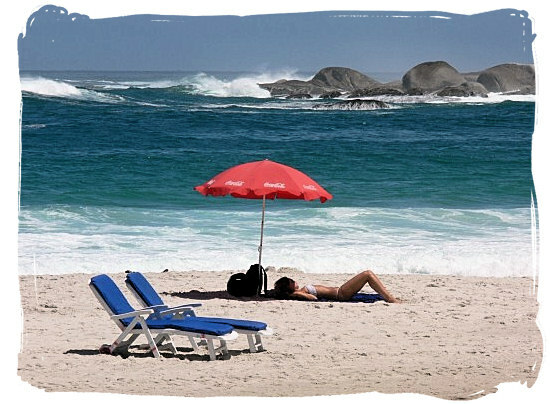 The more laidback beach visitor should head further south and try the beaches at Noordhoek, Kommetjie or Scarborough. The beaches on the Indian Ocean or False bay side of the Peninsula and the Park are more family orientated and therefore more popular with the local people. 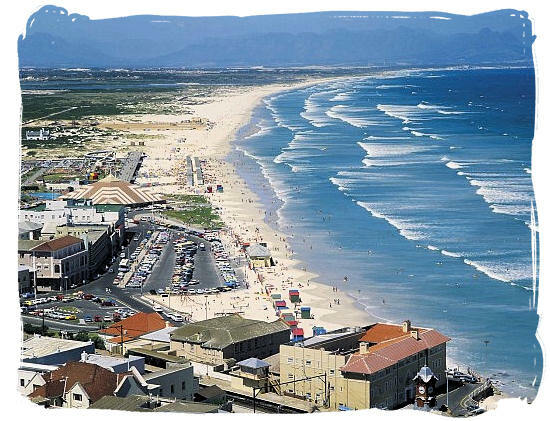 Great beaches to visit here are at Muizenberg and Fish Hoek. 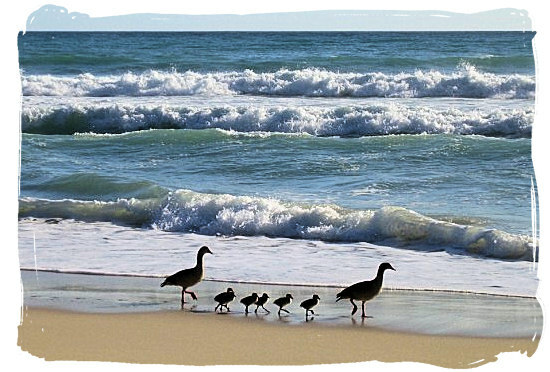 Especially the children prefer the warmer water and there are always lifeguards on duty. 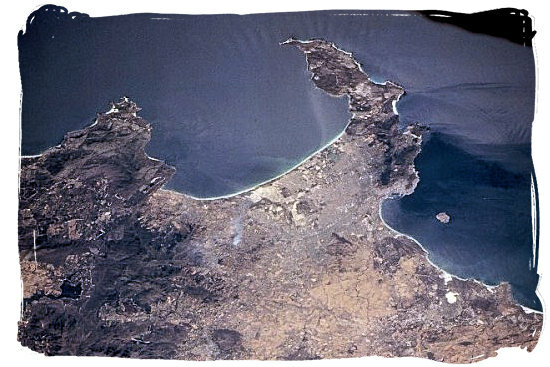 Originally False bay was referred to as "The bay between the mountains" in 1488 by Portuguese explorer Bartolomeu Dias. 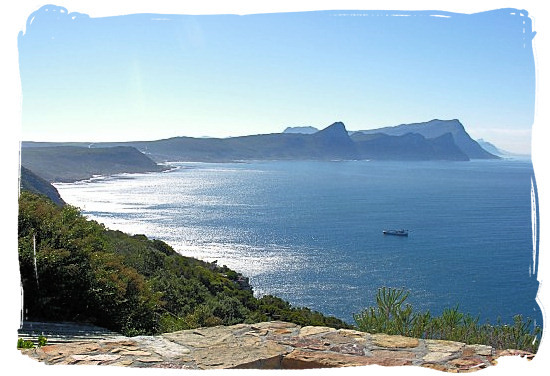 The name False Bay came into being more then 300 years because of sailors confusing Cape Hangklip and False Bay with Cape Point and Table bay when they were returning from the Dutch East Indies. 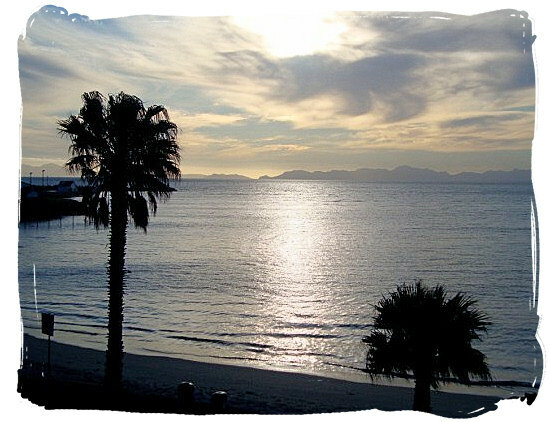 False Bay is situated on the eastern side of the Cape Peninsula and the table Mountain National Park. It makes a huge curve from Cape Point going north to Muizenberg, west past the Strand to Gordons Bay and from there south to Cape Hangklip. Travelling along its coastline, you will be fascinated by its small characteristic villages, stunning scenery, awesome beaches, and sweeping panoramas. Less trendy and more laidback than the Atlantic coast side of the Cape Peninsula and the Table Mountain National Park, the False Bay shoreline is continuation of cosy seaside villages with characteristic restaurants and pubs, small alleys with antiquated and dusty shops along with a multitude of lookout spots and picnic places. 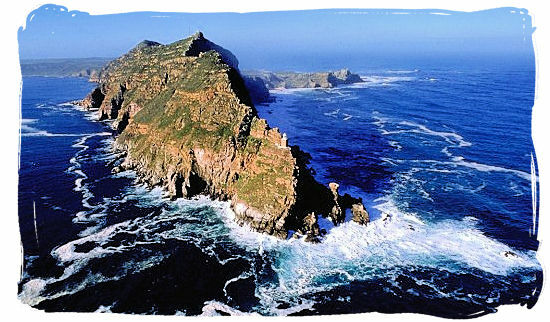 The most Southern tip of the Cape Peninsula is called Cape Point. It is part of a massive headland of wild and wind-battered cliffs towering close to 200 meters above the sea. 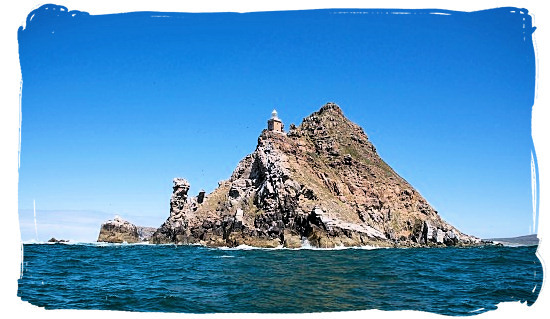 The headland comprises three clearly defined promontories, first of all Cape Point and then a short distance north-east of it you will find the Cape of Good Hope and in between but less prominent, lies Cape Maclear. 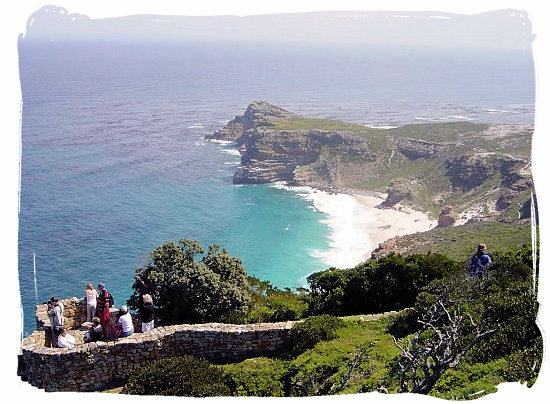 Situated about an hour’s drive from Cape town, Cape Point is often perceived as the most southern point of the Africa continent, drawing a multitude of local and international tourists to witness the Indian and Atlantic oceans coming together. The fact is however, that according to the International Hydrographic Organization (IHO) the true most southern tip of the African continent is Cape Agulhas, about 170 kms south-east of Cape Point. They described the western boundary of the Indian Ocean as follows: “From the coast of the Antarctic continent northwards, along the meridian of 20°E to Cape Agulhas (34°50’S - 20°00’E), the southern extremity of the Republic of South Africa, in Africa (the common limit with the South Atlantic Ocean)”.